Fuhrer Cuomo has goosestepped his way even further down the path that leads to a freedom-less tyrannical autocracy. Apparently Cuomo fashions himself as a modern day Hitler. Yeah…how’s that for some bombastic opening sentences. Calling someone Hitler or a Nazi has long been a pastime of liberals who find themselves unable to cognitively refute a person with a different ideology. They toss it around so much that it has become cliche. I’m not doing that. Rather, I am pointing out how the methods of the Third Reich are being implemented as we speak in the Empire State under the watch of one Andrew Cuomo. Changing the rules in order to ram the SAFE Act down the throats of New Yorkers before they had time to voice dissent is one thing. Enacting a program where, in order to enforce the SAFE Act, you are encouraging neighbors to inform on neighbors anonymously is something that hearkens back to the dark time of Germany. 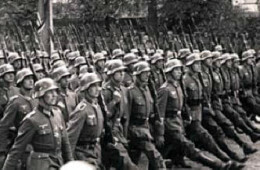 We all have this idea that the Gestapo, Germany’s secret police, were everywhere and that it was they who ferreted out the Jews and Gays and dissenters. 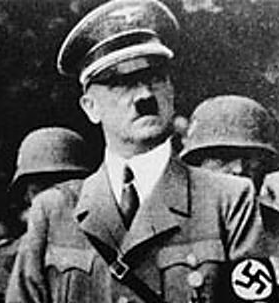 Yet research done by History Prof. Robert Gellately at FSU , whose expertise deals with the Holocaust and Nazi Germany sheds new light on the myth that the secret police was as omnipresent as the movies would make out. But the motives found were banal—greed, jealousy, and petty differences. Cases of partners in business turning in associates to gain full ownership; jealous boyfriends informing on rival suitors; neighbors betraying entire families who chronically left shared bathrooms unclean or who occupied desirable apartments. So too are these so-called “common sense” gun laws and small infringements just a stepping stone. If we allow them to take root, the gun controllers will view that as implied consent and will continue to push for more and farther reaching infringements, not only on the 2nd Amendment but on the others as well, such as the ongoing attack on the Fourth Amendment which is also affected by New York’s new, “rat your neighbor out” policy. Think about it. You’re neighbor anonymously calls the authority and tells them you have 8 bullets in your magazine instead of 7 (yeah…that’s a crime in NY), what will be the response? Will the police show up, knock on your door and ask nicely whether it is true? Or will their response more likely include a no-knock warrant in the middle of the night that will surely cost your family dog its life if not your own? Not only is this reminiscent of Nazi Germany but even closer to home it’s like the witch hunts of Salem where the accusation is enough to find you pressed to death or burned, drowned or hung. So, we have Cuomo encouraging people to spy on and turn in their neighbors for a $500 bounty with no safeguards for the accused, nor any punishment for the accuser should their accusation be without merit. This situation is so vulnerable to abuse it’s pathetic. How long before a dispute between neighbors over a property line, or dog crap, or a trees branch ends up with dueling no-knock warrants and tossed houses and shot dogs? So yeah…I don’t call Cuomo’s regime Nazi-like because I don’t have an artfully intelligent counter to his policies; I call it Nazi-like because I do. If it walks like a goose, talks like a goose and encourages neighbors to rat out neighbors like a goose, chances are its a freedom hating goosestepper.